Amazon has slashed the cost of the travel-ready Lowepro Fastpack BP 250 AW II backpack by a massive 59%. Usually $129,99, right now you can pick it up for just $52.99. That’s an excellent Cyber Monday camera deal, saving you $77 – or £47.83, if you're in the UK. The Fastback BP 250 AW II has three padded, zipped compartments for storing all your camera gear. 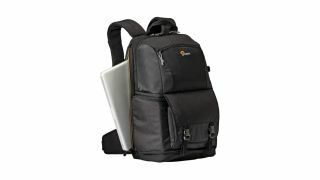 It can hold a DSLR with attached zoom and three lenses, plus there’s space for a 15-inch laptop, and any personal items can go in the top compartment. There’s also a stretch-mesh pocket for your water bottle or a tripod/monopod. From a space and durability perspective, this is a very good camera backpack – and at less than half price, it’s a real bargain.